haha.."escargot".. pro level editing skills: clean, natural and flawless. Very nice !!! The 5 snails on the street, are they really there for display during ur visit? 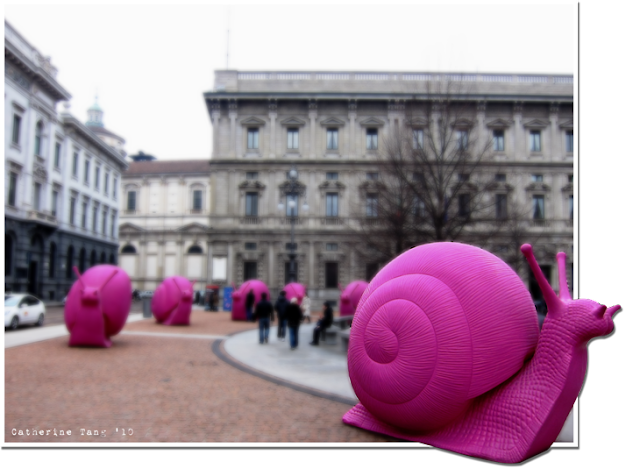 yup, the snails were on display at Milan City Center..there were about a dozen gigantic snails there, apparently its a modern artsy message to the Milan folks; "Slow down, you move too fast"